Anthocyanins are polyphenols. They are good for the human health (antioxidant and anti-inflammatory effects), although they are not totally assimilated through the human metabolism. But they are helpful, and we need them. Anthocyanins are found in plants – they are responsible for a deep purple colour and have an astringent effect, like in grapes, cranberries, red oranges – and of course BLACKCURRANTS! Authentic blackcurrant juice – a simple, home-made blackcurrant juice – contains around 2500 mg/l of anthocyanins. “ANTHONIA: Anthocyanins – nutritional investigation in alliance”, a recent study conducted by the University of Geisenheim (Germany), the Institute for Nutritional Sciences of the University of Giessen (Germany), an Institute for Children’s nutrition in Dortmund (Germany), and an Institute for healthy and happy eating – the MRB in Karlsruhe (Germany), aimed to find juices or smoothies which may help children and youths to increase their daily intake of fruit and vegetables. At the start of the project was the statement that only one child out of four eats enough fruits and vegetables every day. And juices may well replace the missing nutritional elements, because they are easily accepted by children. Tests were made with red grape juice, mixed with other fruits, and tasted by children between 4 and 17. Among other results, it showed that oxidative stress decreased after drinking smoothies or juices with a high anthocyanin content – and that children liked the tastes and colors of the drinks, although they were not used to them. Of course, this study focused on grapes – but blackcurrants contain as much anthocyanins (sometimes even more, depending on the blackcurrant or grape varieties) than grapes. We may easily understand the potential of our favorite little berry, should there finally be a change in the consumer’s habits. 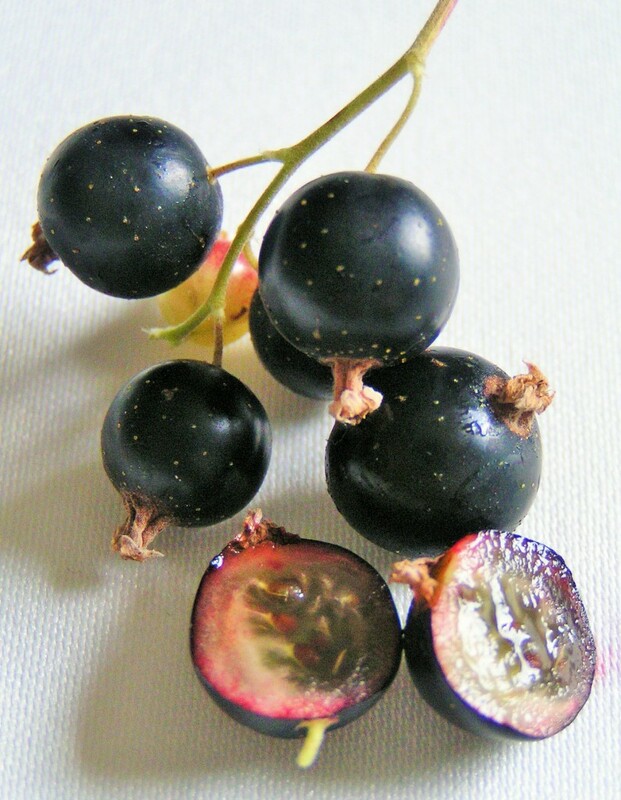 Blackcurrants were also highlighted in a recent BBC show: “How To Stay Young” – an investigation about the secret of long life in certain population groups. It showed that certain plant compounds are responsible for longevity and protecting brain health – plants of deep purple color, with a high concentration of anthocyanins. A scientist from the Norwich Institute of Research confirmed that these pigments “are good for blood flow, delivering nutrients and oxygen for the brain to work well. They also help slow down natural shrinking of the brain that occurs as we get older.” In Europe, the food that contains the most anthocyanins are blackcurrants – and they contain four times more than its nearest rival, blueberries. We will hear more about research conducted in New Zealand and England it at the next IBA conference in Ashford. It will not be about children’s nutrition, neither longevity, but the decrease of oxidative stress in sports thanks to blackcurrant – and much more!